Are US remains from North Korea ever coming back? President Donald Trump said Tuesday he hoped that war remains from North Korea he’d already claimed were on their way to the U.S. more than a month ago would now be coming home “very soon." At an address to the Veterans of Foreign Wars convention in Kansas City on Tuesday, Trump said his administration was continuing to work on the commitments made at his historic summit with North Korean leader Kim Jong Un last month. 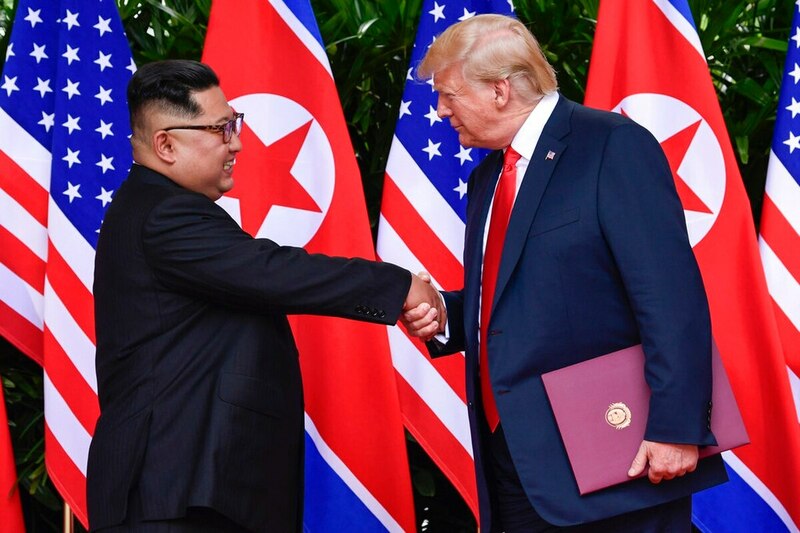 Those commitments included a promise to return remains of U.S. service members who were either killed or died as prisoners of war in North Korea during the Korean War. Days after the summit, Trump told attendees at a campaign rally in Duluth that “we got back our great fallen heroes, the remains sent back today, already 200 got sent back." In reality, none were sent. Instead, the Defense Department and State Department have been working behind the scenes with North Korean officials to realize a transfer. Defense officials have said a transfer could take place soon, but there have been no details to date. United Nations Command, which has responsibility for the demilitarized zone between South and North Korea, last month sent wooden transfer cases to the border to receive any remains that are handed over. Those remains would then be flown to Hawaii for identification. The U.S. has prepared 158 metal coffins to fly the remains home. It’s possible the remains that are handed over may not all be of missing U.S. service members. At an annual meeting Tuesday between Defense Secretary Jim Mattis, Secretary of State Mike Pompeo and their Australian counterparts, Australia minister for defense Marise Payne said they have 43 soldiers missing from the war that they believe to still be in North Korea. Australia has sent dental records and other evidence in hopes that some of the returned remains may be connected to long-grieving military families. “This remains a challenging process, but a very, very important one. I am sure there are still hurdles to come in that process,” Payne said. The four officials were at the Hoover Institution’s campus at Stanford University to conduct the 2019 Australia-U.S. Ministerial Consultation.